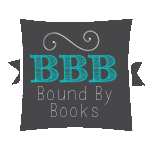 Bound By Books Book Review welcomes the opportunity to review your books. Our goal is to give a completely honest review, giving the author constructive feedback. Reviews will be posted on our Facebook page, our blog, Amazon, B&N, GoodReads. *BBB is also available to host cover reveal, blog tour, interview and/or giveaway.